As complicated as cryptocurrency is, creating one doesn’t even require basic math or coding skills. A lot of excellent open-source work already exists, and the vast majority of the thousands of cryptocurrencies out there are essentially just variations on that. If you are exceptionally enterprising, you can try to create your own, but if you don’t have months to spend on it, you’ll probably want an easier solution. Here’s the disclaimer: If you want to make a cryptocurrency that people actually use and that is worth money, you have to do a lot more than just create it. You need to have a solid, well-implemented idea, a business plan, and some serious marketing skills. This article just shows you how to make a very basic crypto-token. It will cost the Ethereum equivalent of a few U.S dollars to set up and won’t automatically make you any money, but it will be fun to have if you’re into this sort of thing. A coin has its own blockchain, like Bitcoin, Ethereum, Litecoin and most of the other major cryptocurrencies you may have heard of. If you go this route, you’ll have to code your own blockchain or create a fork (a duplicate of an existing blockchain), but both of these methods are fairly difficult. A token rides on top of an existing blockchain, like Ethereum or NEO, and requires little to no coding knowledge to create, though you can make them as complex as you like. If you have the skills, you can make a cryptocurrency that behaves very differently from the blockchain it rides on. 2. Which blockchain will your token be on? This is far and away the most popular kind of token to issue, so that’s what we’ll do here. “ERC20” refers to a certain set of standards that, if adhered to, will make a token compatible with a wide variety of existing software. This is very useful because it means that you and the people you might send the token to will probably already have a wallet that can hold the token. Before you start, you’ll need to get MetaMask – a browser add-on that interacts with the Ethereum blockchain. (Check out its review here.) Once you set that up and put some ETH in it (you don’t need much — probably not more than ten dollars), you can come back for some token creation. The Token Factory is an easy and free way to get something basic, so we’ll be using that. If you want to get a little more detailed with your token, CoinLaunch and Hexel are both good paid options. 1. With MetaMask enabled and some ETH in your wallet, go to the Token Factory website. 2. Enter a name for your token. Don’t pick something that already exists. To figure out if your name/symbol has been taken, go to Etherscan and type your name/symbol into the search bar to see if something comes up. We’ll call this one “Amplitude,” the unofficial currency of the mock-rock band Spinal Tap. 3. Pick a symbol for the token — something around three or four letters long is standard. For us, it’s AMP. 4. How many decimal places do you want your token to be divisible to? Just like a U.S dollar can be divided into one hundred cents, a single unit of your cryptocurrency can be divisible into smaller pieces. Ethereum can be divided to the eighteenth decimal place, but if you want to make it simpler, you can decrease that number. We’ll choose eighteen, just for kicks. 5. How many total tokens do you want to have in existence? Bitcoin has twenty-one million, some have no limit, and some have just a few thousand. It’s up to you, but having at least a few million can’t hurt. When you enter the number, don’t forget the decimal places you specified in the last step! If you specified eighteen decimal places, you need to add eighteen zeros to your total supply because it counts the supply in denominations of the smallest unit. If you want 1000 coins divisible into 100 pieces each, you’ll need to type “100000” (1000 + 00) to get 1000 coins. Twenty-one million coins to eighteen decimal places would be “21,000,000,000,000,000,000,000,000”. We’ll go with 11,000,000 (+ eighteen zeroes), because our AMPs go up to eleven! 6. 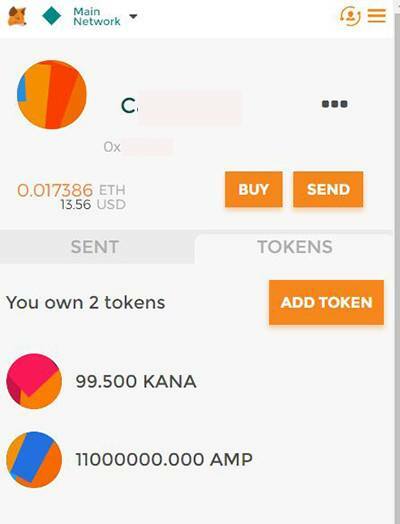 Once you are happy with your coin, click the “Create Token” button, and MetaMask will notify you that you have a transaction request. This is where you’ll have to spend a little money to process the transaction. 7. 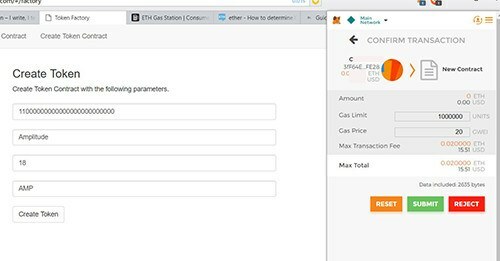 If the gas price looks too high for your liking (mine is set to twenty, which could cost me around fifteen dollars), go to the ETH Gas Station and find the “SafeLow” price, which is the lowest you can set your transaction without it being rejected. Set your price to that, and the cost of your transaction should come down significantly (the SafeLow right now is eight, which brings my cost down to about six dollars), though it will take a little longer to process. Don’t mess with the gas limit; it’s set where it should be. 8. With your gas adjusted, accept the request and wait for the Token Factory to process it. 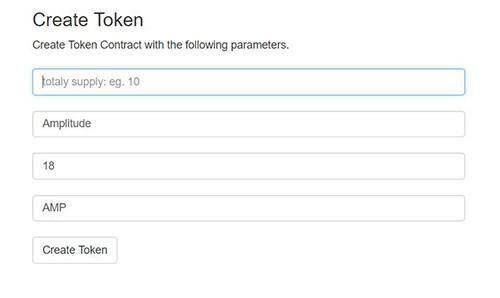 You can track your contract-creation on Etherscan by clicking on the transaction in MetaMask. When it’s done, it should take you to a page containing your smart contact address. 9. 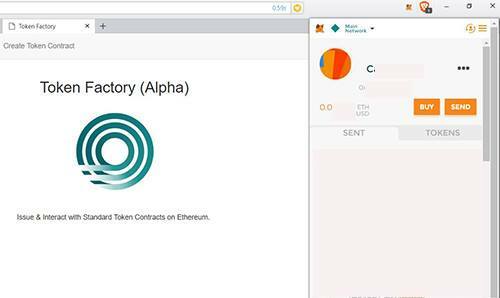 If it says it succeeded but isn’t showing up in Token Factory, just refresh the page and find the contract address on Etherscan by clicking on the transaction in MetaMask. 10. Take this smart contract address and open MetaMask again. 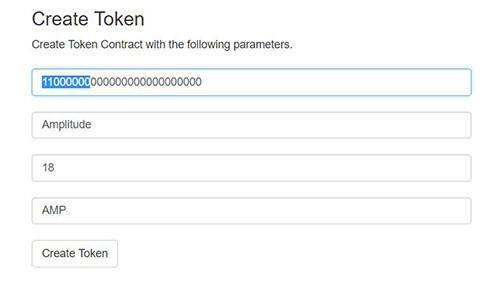 Go to the “Tokens” tab, click “Add” and enter the contract address, and if it doesn’t auto-fill, the token name and decimal places. Click the “Add” button again. 11. 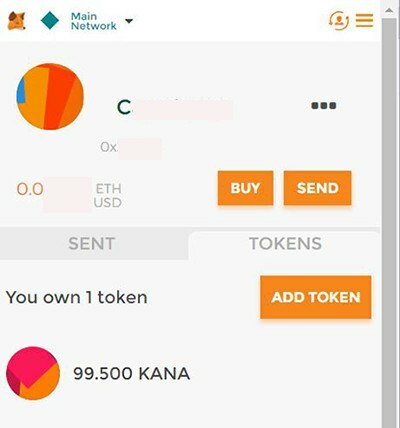 The token should now appear in your MetaMask wallet with the entire supply under your control, but you won’t really be able to do much with them there as it doesn’t support sending tokens. 12. 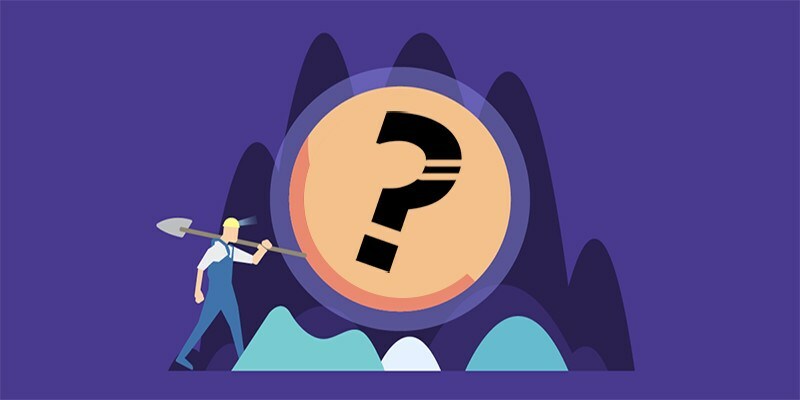 The easiest way to manage your new token is directly through the Token Factory site, though any ERC-20 compatible wallet (like My Ether Wallet) will let you hold and control your coins as well. 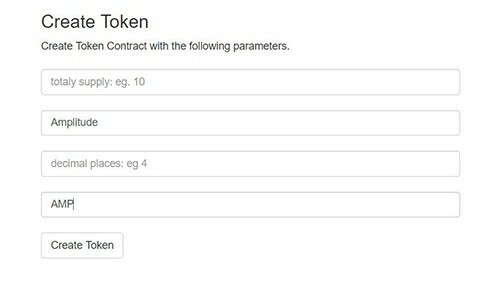 To do this, just click the “Interact with Token Contract” button. 13. Next, enter the contract number you copied earlier. 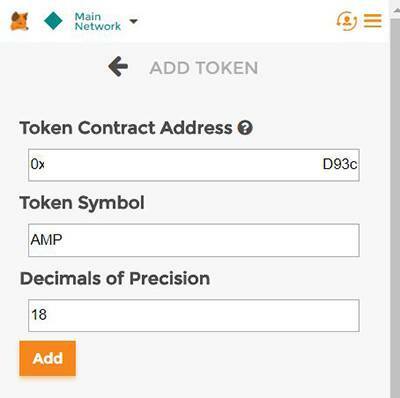 If you’re logged in to MetaMask, it will recognize you as the contract owner and allow you to send your tokens wherever you like by using the “Transfer” fields. 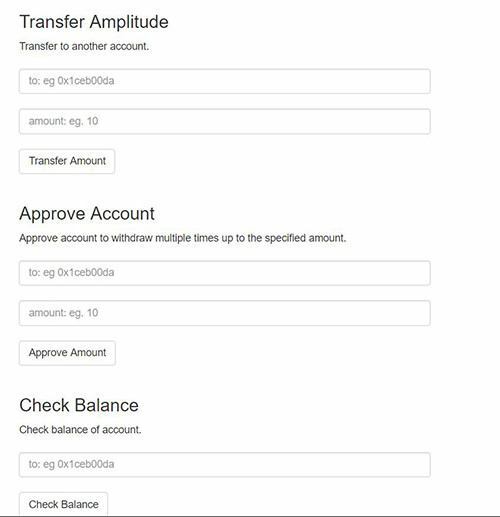 You can also check balances and set a few other rules about which accounts are authorized to use your token. 14. To send tokens, just enter the amount (don’t forget all those extra zeroes!) 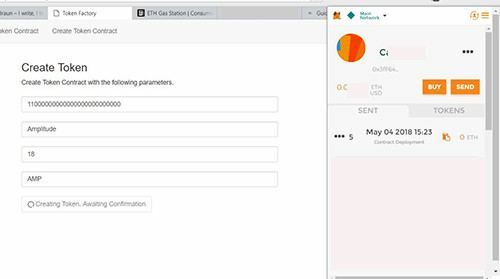 and receiving address and approve the transaction in MetaMask! This will probably also cost a few cents (USD). 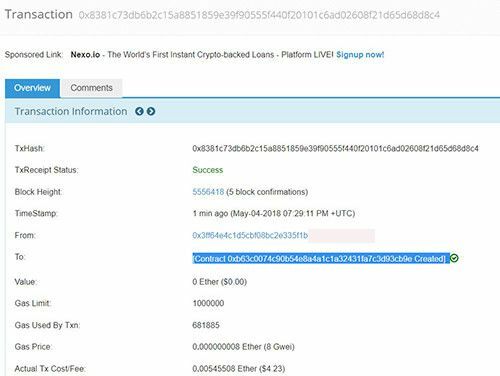 If you want your token publicly listed, you’ll need to have at least one transaction, so you can go ahead and send a token (or fraction of a token) to any other Ethereum address (preferably one of yours). You can just go into MetaMask and get a new address in a few seconds by clicking on the little icon of a person on the top-right. If you don’t care, you can just find a random address and send them there – if it’s not a real address, the tokens will be “burned” or forever inaccessible. 15. The most fun part is at the end, though: Now that you have your token set up and know how to use it, go check it out on Etherscan.io! 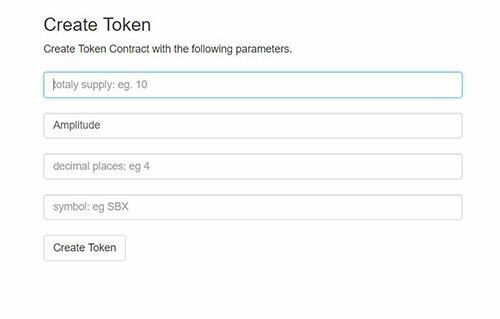 Your token is now part of the ERC20 ecosystem, and you will always be able to look it up on the Ethereum blockchain. Etherscan will show you the transactions, addresses, and statistics on how your token is doing. 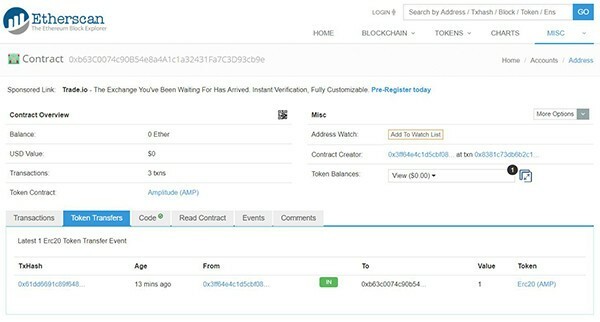 You can now find Amplitude, the unofficial currency of Spinal Tap, by searching for it on any up-to-date Ethereum blockchain explorer or by just checking it out on Etherscan. How you use your new cryptocurrency is pretty much up to you. This is the most basic type of crypto-token, so it’s not uniquely useful in any way, but the fact remains that you are now in charge of an asset that will exist for as long as Ethereum’s blockchain does. Unless you take some extra steps, you won’t really be able to put it on the market, but if you want to start your own private economy, there’s nothing to stop you from selling your tokens for cash (or for rock ‘n’ roll). Check the laws in your home country before doing anything involving actual currency, but beyond that, you can sit back and enjoy the knowledge that you are now a small part of crypto-history! Interesting article I’ll give you that. Although I’m completely “against” creating “fake money” (to go along with all the fake NEWS perhaps!?…LoL!) Since there’s nothing “backing” your currency but….well YOU!? You can understand why I wouldn’t trust your currency or anyone else’s!…not even the ones that are used by the masses. LoL! Funny you would mention fake news–my next article is about exactly that :D And I am willing to go on the record saying that I officially advise against trusting random ERC20 tokens created in half an hour by a random guy on the internet. Even though mine does go up to eleven.